My family and I are members of the San Diego Zoo and absolutely love heading down to visit, whenever we have the opportunity. My kiddos are obsessed with all of the animals but they definitely have a soft spot for the panda exhibit, in part due to one of their favorite shows, Ni Hao Kai-Lan. 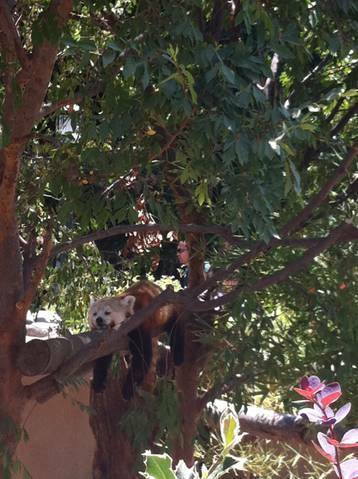 Maribel, had the opportunity to check out the new Panda Trek at The San Diego Zoo and shares all about her experience. Two weeks ago the news we have been waiting all summer to hear finally was announced: Phase I of the Panda Trek Exhibit at the San Diego Zoo was open and ready to allow guests to view the hard work and team effort that was put into the design and construction. We had the opportunity to be there a few days ago and let me tell you my 20 month old enjoyed it as much as I did. 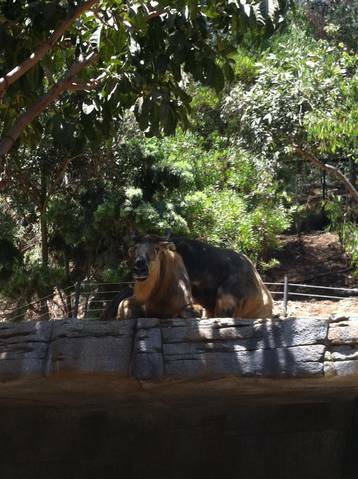 It was everything the San Diego Zoo had planned and more! 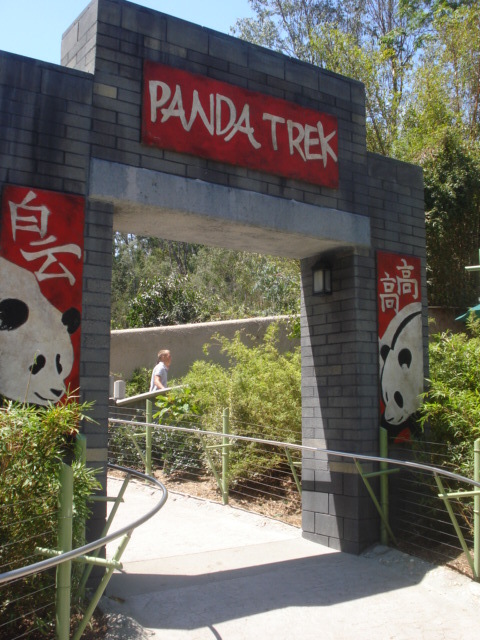 Panda Trek is located in Panda Canyon next to the Giant Pandas Exhibit. As you enter Panda Trek,you walk through a stone path and are greeted by staff to take pictures holding you guessed it! Pandas. There is also an exhibit hut that has equipment used to track pandas such as radio, collars, boots and books. Not only are the giant black and white animals on display at this new exhibit, but you will also find the Red Panda, Takins and Vipers. First on Panda Trek is the Red Panda which is native to the Eastern Himalayas and Southwestern China, it loves to be in trees and surprisingly eats not only bamboo but also birds, eggs, insects and small mammals. The little guy was taking a midday nap when we arrived and we first had a little bit of a hard time finding him as we thought he would be roaming around his new home but he was nestled between the tree branches. As you keep walking you will find the Takins. They are interesting to observe and also to photograph. They are not camera shy at all! Across from the Takin exhibit is the Mang Mountain Pit Viper, although at the moment is still not in its new home. We were able to read about them and see a picture. The exhibit looks ready to welcome this viper and it should happen in the next couple of days. When it makes its way to the exhibit make sure to take the time to visit, because this venomous viper is rarely seen in its habitat or in zoos! This is quite the treat! One of my favorites features of the exhibit is walking along the path that will lead you to the Giant Pandas. As you make your way, you will be able to see different kinds of bamboos and feel as if you were just in China! The San Diego Zoo team designed a fabulous exhibit that allows you to travel across the globe to a Chinese forest without ever leaving the Zoo. The giant black and white Pandas are the end to this Trek and it is always fascinating to observe these endangered and magnificent animals in action. We were in for quite the treat. 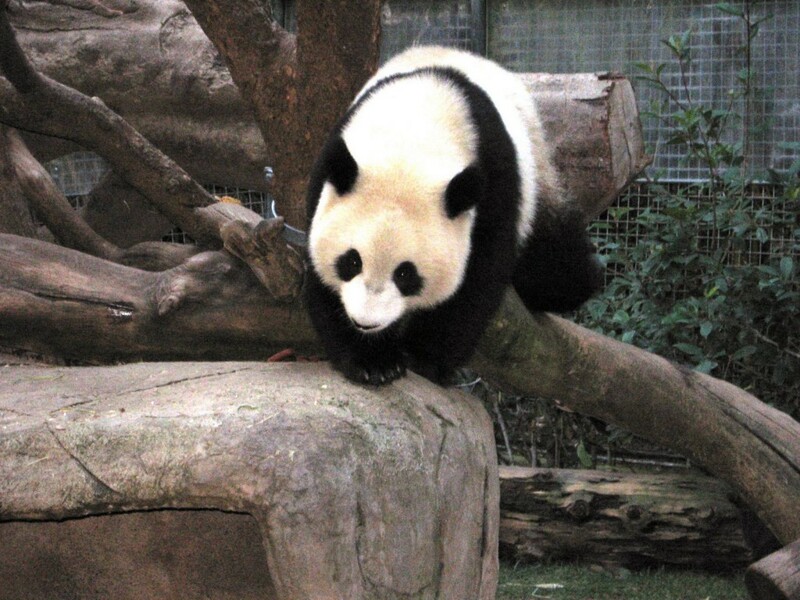 We usually catch the Pandas napping but on this visit, they were roaming, climbing trees and romping in the water. Panda Trek is truly a must see! P.S. Don’t forget that the San Diego Zoo and San Diego Zoo Safari Park are offering kids free admission during the month of October! 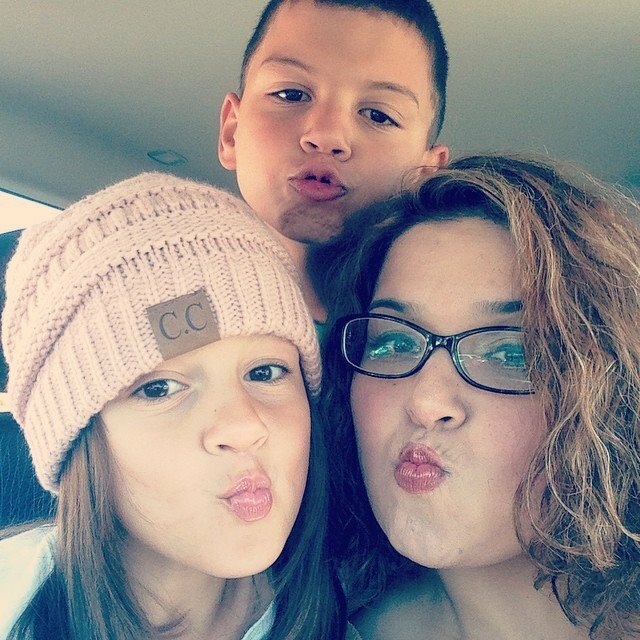 Maribel is a mother of two, that is always looking for an adventure. To read more about her fun outings head over here. This entry was posted in Uncategorized and tagged Panda Trek, Pandas at the San Diego Zoo, San Diego Zoo, San Diego Zoo Pandas. If you have kiddos that are fans of Disney’s Phineas and Ferb, you are in for a treat! 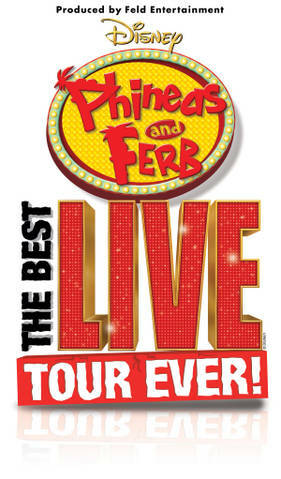 Disney’s Phineas and Ferb: The Best LIVE Tour Ever! will be coming to Southern California in September. The show will be at the Fred Kavili Theatre at the Thousand Oaks Civic Arts Plaza on September 23 and the Long Beach Terrace Theatre, September 24 and 25th. The show will play in Thousand Oaks on Friday, September 23rd at 4pm and 7pm. It will play in Long Beach on Saturday, September 24th at 4pm and 7pm. It will also play on Sunday, September 25th at 1pm. To purchase tickets and additional info head here. This entry was posted in Uncategorized and tagged Disney's Phineas and Ferb Live, Disney's Phineas and Ferb Thousand Oaks, Disney's Phineas and Ferb Tour, Disney's Phineas and Ferb Tour Long Beach, Disney's Phineas and Ferb tour Los Angeles. Pretend City Two Year Birthday Bash: Free Admission to everyone! Pretend City has a birthday this week! If you have Tuesday open in your calendar and are looking for something to do with the kiddos, you won’t want to miss this. 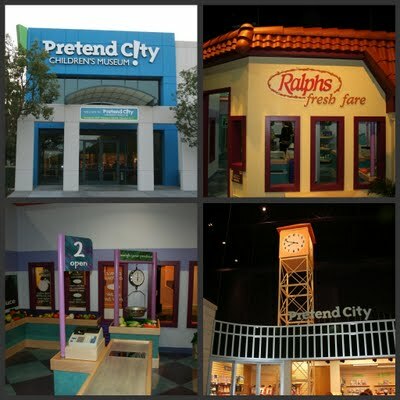 In celebration of their anniversary, Pretend City is opening their doors to the public for FREE all day! The mayor of Irvine will be present, there will be a cake cutting, and special events geared towards 2 year olds. Odds are that it will be super busy that day, but if you arrive early or towards the end of the day, you will have a better time. I love heading there in the late afternoon. The crowds definitely thin out in the afternoon. If you’ve wanted to visit and haven’t had the opportunity to do so, you can’t beat FREE! This entry was posted in Uncategorized and tagged Free Admission, Pretend City Free Admission.